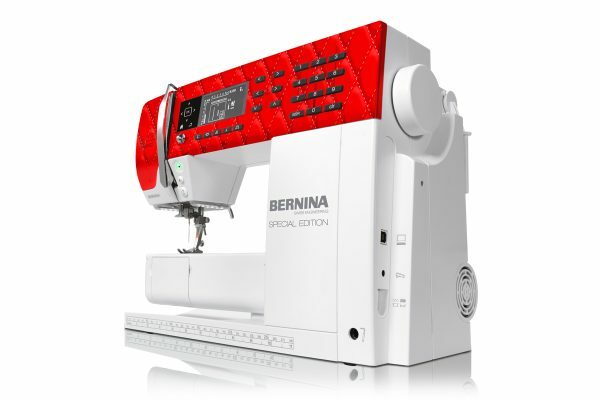 Please welcome the new Swiss Edition to the BERNINA Family, the BERNINA 530 Special Edition—Swiss Red! 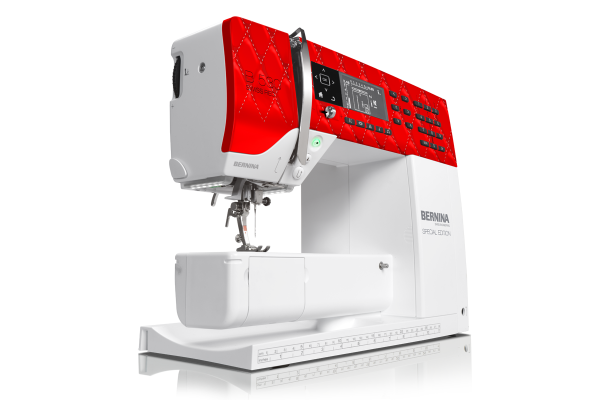 The BERNINA 530 Swiss Red provides legendary stitch quality, a powerful DC motor, 900 stitches per minute, 11 needle positions for precise sewing and comes with a free exclusive BERNINA suitcase. Also included are five BERNINA presser feet and a slide-on table. The specially-designed faceplate celebrates the precision of quilting and Swiss craftsmanship. The BERNINA Stitch Regulator (BSR foot) can be added as an accessory at any time. 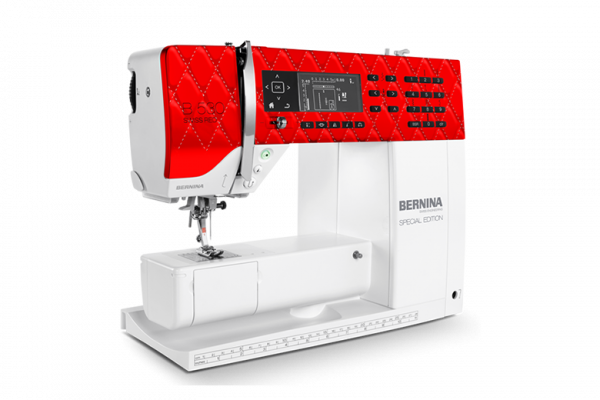 Want to meet the BERNINA 530 Swiss Edition—Swiss Red? Visit your local BERNINA store for a test drive! I have been using a 1970s Singer Machine for over 20 years. It was my mother in laws who passed away. I would love to have a new machine of my own. Thank you! I loved my 580 but traded it for the larger 710. I miss the smaller machine more than I thought I would as it fit my Horn cabinet. I love my Bernina 1260 quilters edition. I do not quilt, I sew. I have been enjoying my 1260 since 1997. I would really like to win this Red Beauty! By the way, my machine still sews perfectly, I have never had to adjust the tension for any fabric or technique! I love my Activa but it does not have the ability to use the BSR. Would love to have this gorgeous machine!! I have always wanted a Bernina. Quilting is my hobby or life style and being able to use a stitch regulator would be wonderful. Like all the others I would be so appreciative to win this beautiful machine. I wish everyone could own a Bernina. I volunteer and sew on a very old Bernina at a historical site in the costume shop and even as old as it is the stitches are beautiful. You can’t beat the workmanship of a Bernina! Nice machine! I’d love to win this beauty since I am housebound and my Janome just died! I have been dreaming of getting a Bernina for several years since I started hanging around a bunch of crazy quilters that all swear by their Berninas! OMG! I love, love, love this machine! Please send it to me! I’ve been sewing since I was 8 years old and always wanted a beautiful machine like this. I have a little manual Brother and it seems well but I can not quilt with it. Would love to have this beauty and red is my very favorite color. My origins machine was the first 830, I now have a 200E with a 730 up grade. I am a dyed in the wool Bernina person. I’m sure this is a awesome machine. Beautiful! I love Bernina it’s the best!! !